This site is to expose and discuss OCA Fr. Macarius [Dr. Atef Aziz Meshreky] doctrine and teaching, which contradict with the Bible and the Apostolic faith. Content is based on his books and media. Facts, no assumptions. 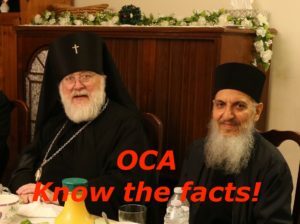 OCA: Know & expose the facts! 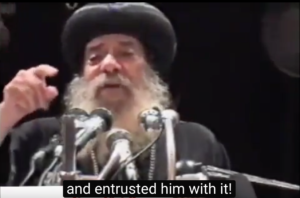 Pope Shenouda: against the heresies! We study the heresies and fallacies filling the teachings of Dr. Atef Aziz Meshreky [now Fr. Macarius in OCA]. We expose the contradictions with the Bible, the Church, and Orthodoxy. We are living the final stage of the End Times. And God has a different economy of salvation for the final stage of the End Times. The Church has lost its authority and message since the 5th century. To restore, there is new anointing of: apostles, prophets, evangelists, pastors, and teachers. Dr. Meshreky is the anointed, commissioned by God, entrusted with this generation, the generation of the End Times. We analyze and discuss his books and doctrine. Then more topics in the discussions sections. Are we in "the final stage" of "the End Times"? Does God have a different plan of salvation (Οικονομία ) for the "Era of the End Times:? Is this "the generation of the end times"? Dr. Meshreky received God's commission to be "entrusted with the generation" while on flight? "THE BRIDE & THE END TIMES"
Overview, analysis, and discussion about the book! Dr. Meshreky's commission for the generation of the end times! Dr. Meshreky's guide to healthy growth of "Christ in me"! "New ministries, new visions and new anointing"? A claim that since the Church "has lost her authority and message", new "Kingdom units", "new visions", and "new anointing" of "apostles, prophets, evangelists, pastors, and teachers" takes place! "Proclaiming the power of the blood of Jesus"
True or false? Facts and fallacies.